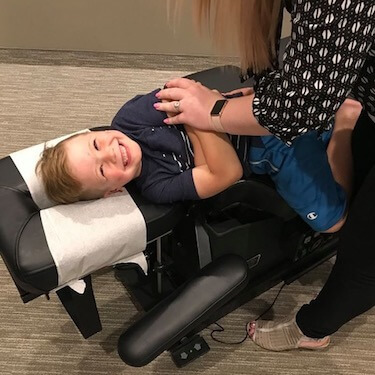 Chiropractic care is a manual, drug-free approach to health care that focuses on restoring the central nervous system to encourage better communication throughout the body. While pain relief may be an advantage of treatment, Family Chiropractic Center believes in the body’s innate ability to heal itself. It is our job to remove interference within the nervous system and allow your body to do the rest. Family Chiropractic Center believes chiropractors are nervous system doctors, not pain doctors. Our sole focus is correcting interference within the nervous system, restoring pathways of communication inside the body. Through years of training and practice, our doctors perform customized treatments for patients. They are well-versed in hands-on techniques, and employ a gentle approach. Treating patients of all ages, shapes and sizes – you can rest assured, you’ll be in good hands! We understand that chiropractic newcomers may be hesitant or nervous about upcoming care, but we are here to assure that you are in good hands. Our doctors cater each and every adjustment to your needs and your comfort. During your visit, they’ll provide thorough explanations regarding what to expect as well as the adjustment they choose to perform. We are glad to hear your concerns and work with you to find a solution that is right for you! Discover how we can help when you book an appointment with us today.